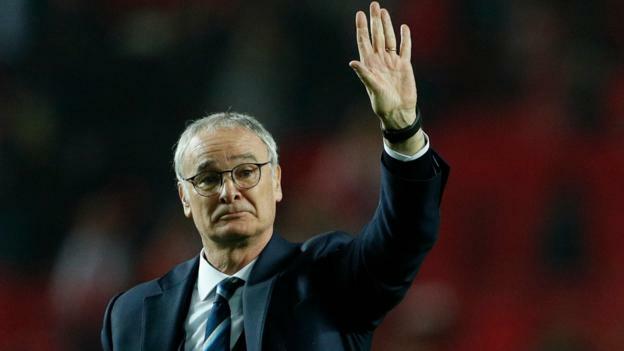 Claudio Ranieri is now the former manager of Leicester City football club and he was given the news of his sacking once the team landed back in the United Kingdom on the day after their Champions League first leg loss to Sevilla, with the story breaking at around 8pm GMT, last night. They lost 2-1, which had left them with a glimmer of hope to rectify the match in the second leg in front of their home fans, but Claudio Ranieri’s time was up. Once he got off the plane he was taken to one side by a member of the club’s board and he was told that the game was up. Last season Claudio Ranieri had led Leicester City to their first ever Premier League title; in his first ever season for the club, making the Leicester City story into that of fairytales. However, this year the team had failed to reciprocate that same form in the Premier League, after selling N’Golo Kante to Chelsea in the summer and also with their recent run of only one win in their last 9 games, in all competitions, this was the terrible run of form which sealed Ranieri’s fate. Leicester sits just one point above the relegation zone down to the Championship, with 14 matches still to play. The questions now is were the Thai King Power consortium right to sack him? Or was there still enough potential time to turn it around? Seemingly, Leicester City already have a replacement lined up, that’s being kept under wraps for now. So, what went wrong with Leicester City’s season, this year? Let’s overview some of the problems apart from the results, which were that Claudio Ranieri had failed to integrate any of his new signings into the team properly this season, as well as, not buying a single center back to tighten up the defense, with the aging back line of Robert Huth and Wes Morgan. That coupled with losing N’Golo Kante in midfield, would definitely bring to question the transfer policy at the club this year, after such huge success in the previous season with their transfers in bringing in players like Riyadh Mahrez, who even won Player of the Year last year. New signings such as Daniel Amartey, Nampalis Mendy and Wilfred N’Didi, all failed to fill the void that N’Golo Kante’s departure had left and in also signing strikers, Islam Slimani and Ahmed Musa, neither of them becoming huge success stories, which also seemingly brought an imbalance to the squads harmony of last season. There had long been rumors of an unsettled or disgruntled dressing room this season, with even striker Leandro Ulloa, a majorly underused player this year, coming into huge disagreements with Claudio Ranieri over not enough playing time. These reasons along with everyone already being familiar with their counter attacking style of play, made this into a tough season for Leicester City, where they continued to fail to pick up points in the league and seemingly Claudio Ranieri had set his focus on the Champions League, instead of the Premier League. Thus, defying the odds yet again in getting through the First Group stage of European Champions, as group winners with 13 points from 6 games. So, last night with the 2nd leg knockout match set for March 14th in roughly two weeks time, the King Power consortium felt it was better to sack him after a dismal run of results. 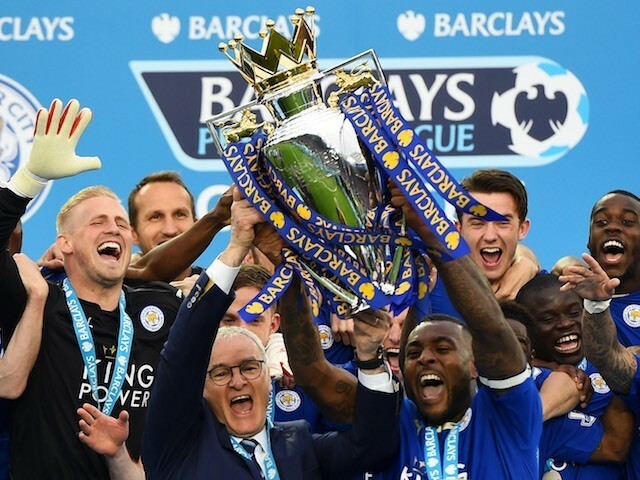 A bold move and some say a very disrespectful move, after Ranieri had led them to Premier League glory last season. The question now on everyone’s lips is who will replace him, with a crucial match coming up against Liverpool on Monday night . Will they bring in a caretaker manager or as many suspect, that the owners from Thailand, already have a capable replacement in mind or do they? Only time will tell and as yet the frontrunner for the job seems to be Roberto Mancini, the former Manchester City manager, who would seem to be a perfect fit. We are expecting an announcement at some point in the next 48 hours, with even rumors of Nigel Pearson maybe being lined up to save them from the drop, as he had done in the season before Ranieri arrived. A nice comment of confidence and positive attitude from Mourinho for Ranieri, but all in all, it’s a sad ending to a fairytale story and now all the focus for Leicester City will be, can they stay up in the league and bring Leicester up to the next level of competitiveness for next season. All the best to Claudio Ranieri and the question will be, will he retire or will he jump back into management again, with many clubs surely alerted to his availability. We expect to see Claudio “Tinkerman” Ranieri returning to management sometime next season,. Who do you think will be Leicester City’s new manager? Sports, Sports & Gaming Claudio Ranieri, Jose Mourinho sends Tribute to Claudio Ranieri, Leicester City, Leicester City FC, Leicester City FC Manager, Leicester City Football, Leicester City Sack Claudio Ranieri, Nigel Pearson to return to Leicester City, Premier League, Roberto Mancini being lined up for the Foxes, Roberto Mancini Leicester City, What went wrong at Leicester City?, Why did Leicester City sack Ranieri?